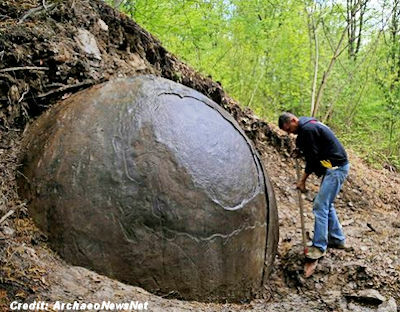 In the middle of a forest on the outskirts of Zavidovici, Bosnia, archaeologist Semir Osmanagich has discovered a very large, very round rock with a radius between four and five feet. Possibly more than 1,500 years old, Osmanagich thinks this Bosnian rock ball may be "the oldest stone sphere made by human hands," according to the Telegraph. Like any mysterious sphere uncovered in nature — and there are others — Osmanagich's is proving divisive.